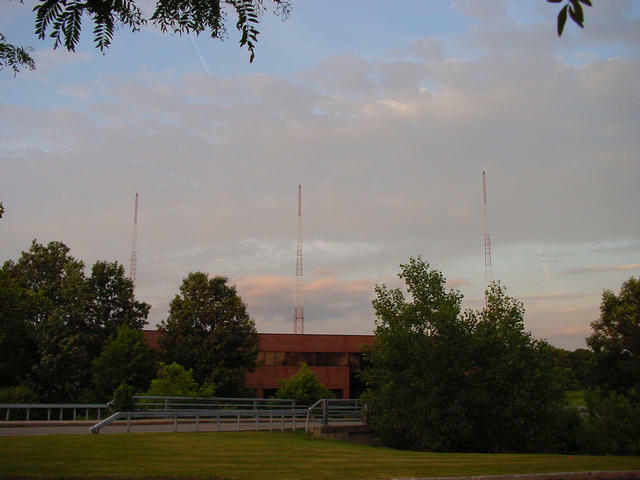 These were the towers of WWWG (1460 Rochester). The station is now WHIC, and the towers are no longer at 1840 Winton Road South. See Scott's essays Brighton AM sSites, Rochester, N.Y. and WHIC 1460, Rochester, NY for more information. The studios were located oout-of-frame to the left, in a brick-faced building very similar to the one shown next to the towers. I'm not sure if they are still there.